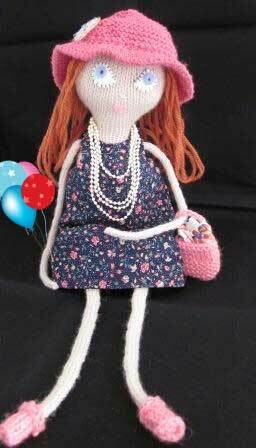 This is my latest knit doll from the Dot Pebbles collection. I purchased this as a kit when I was in London five years ago. Now that I’ll be doing a display at my local library, I knew that I wanted to make her and include it in my display. She was very simple to make. The body is knit in two pieces, the front and back, and the legs and arms are done in i-cord. Sew the pieces together and stuff with a fiber fill then proceed to add her facial features and her hair. There are a variety of choices for her outfit. 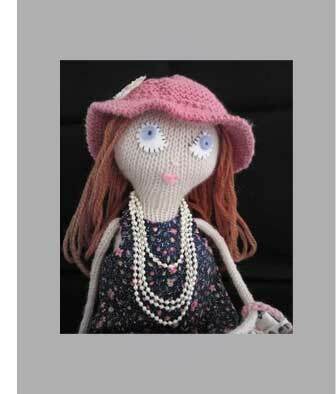 I decided to make the knit hat adding the beaded flower found in my stash of sewing supplies and then sew a simple dress for her. The patterns are in the book Knitted Babes by Claire Garland. For more of her designs, I urge you to visit the Dot Pebbles website. 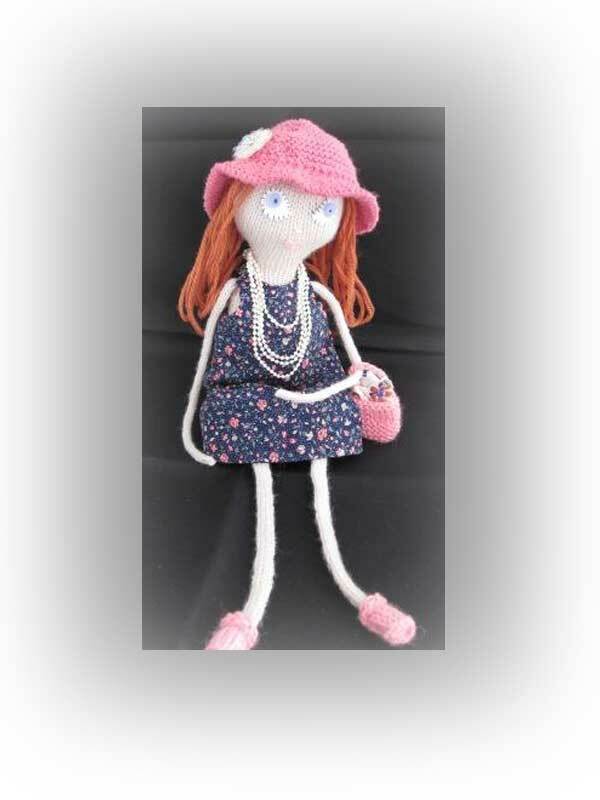 Claire has dolls and a vast variety of clothes available for them. These are fun and easy to make and should provide lots of fun for the children that play with them. Next Post How Cute are These! she is just gorgeous. I have knitted two – one for my daughter and one for ME! you can see on my blog if you like!